Strawberries Australia represent the biosecurity interests of strawberry producers and the industry. In 2015–16, strawberry production was valued at $269 million (LVP). Strawberries are grown in all states of Australia by an estimated 500 growers concentrated in the Sunshine Coast area of Queensland; the Yarra Valley and the Mornington Peninsula in Victoria; Wannaroo and Albany in WA; the Adelaide Hills in SA; and Launceston in Tasmania. Strawberries are grown in Australia throughout the year. Florida varieties are grown in subtropical locations from May to October and California varieties are grown in temperate climate areas from October to June. Industry investment in new Australian varieties continues, with gradual introduction of the new types which are being developed from the best varieties in Europe and the United States. In 2016, approximately one third of strawberries grown were Australian varieties. The industry is primarily focused on the domestic market with around five per cent of produce exported. The increase in production over recent years is due primarily to rising per capita consumption, driven by higher planting numbers, improved Australian varieties and better cool chain management. Strawberry (Fragaria sp.) flowers are hermaphrodite. They have five white petals, a ring of 20–25 yellow anthers and 50–200 stigma and ovules. The flowers produce nectar at the base of the stamens. The flowers are self-fertile and they can pollinate themselves. However, the stigmas are usually viable before the anthers liberate pollen, which increases the chance of cross pollination happening with pollen from a neighbouring plant. When the anthers dehisce, some of the pollen is forcefully ejected from the anther so that it lands on the stigma of the same flower. 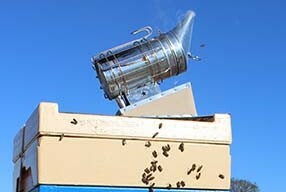 Pollen is shed for 1–3 days. 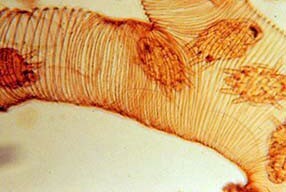 The stigmas are receptive for seven to 10 days after opening. The anther heights vary with different cultivars. It has been found that the shorter the anther, the less likely a flower is to be self-pollinated; presumably pollen grains from the long anthers are more likely to fall onto the stigma of the same flower. The flowers are borne in clusters and the first flower in the cluster is the most likely to set and will usually produce the largest fruit, because they have more ovules. Poor pollination can result in poor fruit set, and small or misshapen fruit. 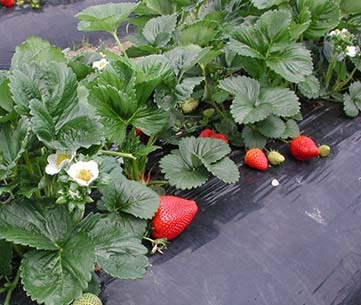 Strawberries benefit from insect pollination. 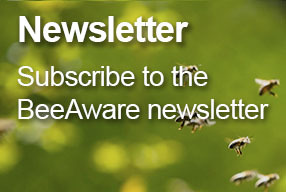 Cages without honey bees only produced 55 per cent fruit set compared with 65.5 per cent in cages with honey bees. They also had smaller berries (6.7 g) and a higher percentage of deformed berries (48.6 pre cent) than the cages with bees (8.3–8.4 g and 20.7 per cent). 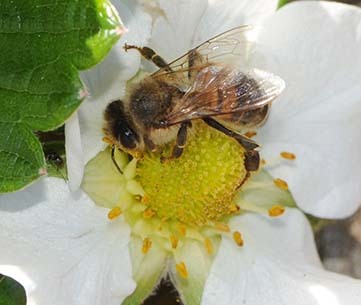 Bees visit strawberry flowers to collect pollen and or nectar. However, they do not find them particularly attractive. 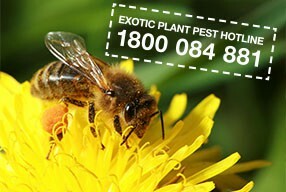 Between six and 15 bee visits are reported to be needed to pollinate a strawberry fruit fully. Honey bee colonies should therefore be introduced for strawberry production. 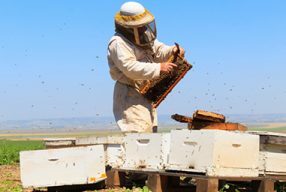 There are recommendations for between two and 22 hives per ha. Additional fact sheets and web links about the pollination of strawberries have been listed below. Please be aware that some of the information was developed overseas, and environmental and seasonal variations may occur.